Fortnite's "Share the Love" event was announced on Thursday by the Fortnite Team. In celebration of Valentine's Day, Fortnite will have special rewards and Challenges from Feb. 8 to Feb. 27. This update will include skins, items, and limited-time events. One such incentive is the Support-A-Creator reward. 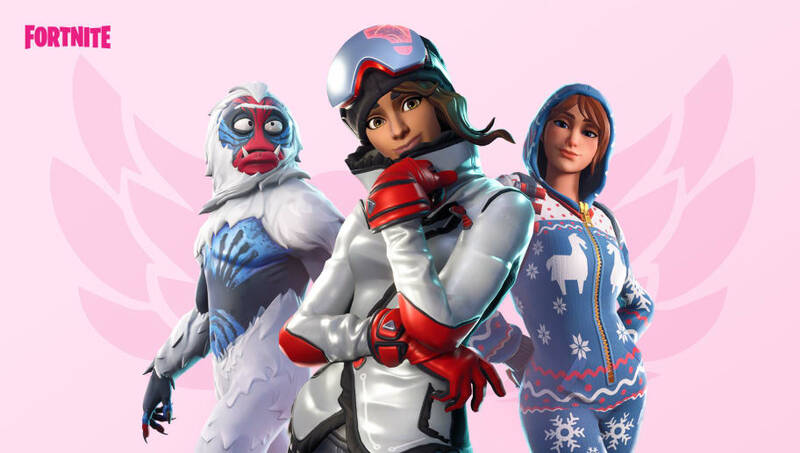 Players who currently support a Fortnite "Creator" or enter a Creator Code (accessible from the Epic Games website and entered into the in-game Item Shop) between Feb. 8 and Feb. 22 will receive a Cuddle Hearts Wrap for free. This item wrap will not be received immediately but with the v7.40 update. Also releasing in the "Share the Love" event are Overtime Challenges. Overtime Challenges are for players who've finished their 10 weekly Challenges and would like additional Challenges to complete before the end of the Season. Doing so unlocks five new items such as the Valentine Wrap and Vines Contrail. For Battle Pass owners, completing Overtime Challenges also unlocks new styles for the Trog, Powder and Onesie outfits. The "Share the Love" event will also have two Double XP weekends in the weekend of Feb. 15-17 and Feb. 22-24. There will also be the "Featured Island Frenzy" event, from Feb. 12 to Feb. 22, in which a new community-created island will be featured daily in the Creative mode. Finally, Fortnite will have the "Share the Love" Competitive Series. Placement games will happen this weekend from Feb. 8-9 to seed players into four divisions. These divisions (Open, Prospect, Contender, Champion) will run simultaneously. Players can reach a higher division by earning a pin during play. Players in the Champion Division will gain access to the Champion Division Finals on Feb. 23-24. The "Share the Love" Competitive Series will demonstrate new features in the tournament system, with more releasing in the v7.40 update.